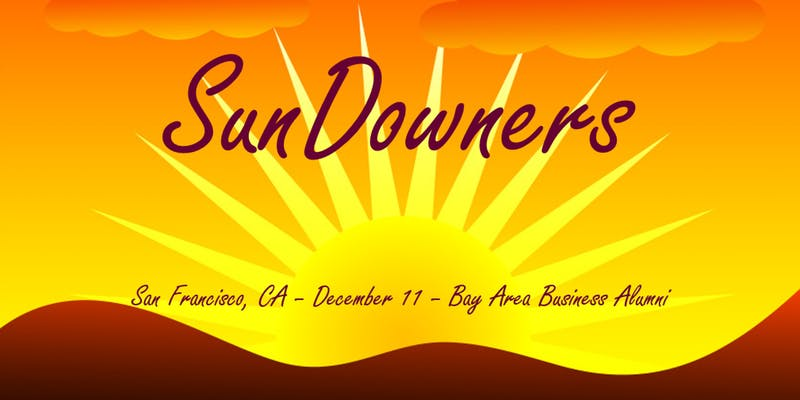 Bay Area Business Alumni is delighted to invite you to a SunDowners Mixer on Tuesday, December 11th at El Rio in San Francisco! Join us and meet with inspired and inspiring business alumni from Berkeley-Haas, Bocconi, CEMS, Chicago Booth, Cornell Johnson, ESADE, HEC Paris, IE, IMD, London Business School, MIT Sloan, and Stanford. Save the date! We will sip drinks, groove to music, and admire the sunset! PS: A "sundowner" meant an alcoholic drink that the British would consume after completing a day’s work, usually at sundown. Cheers to our friends from London Business School!